Chapters 2-3 of the Revelation had specific messages for each of these seven churches. These follow a common pattern: the Lord of hosts first addresses each church and identifies himself, then defines things that he knows about the church in question. After this a challenge or reproach is given, followed by a promise. In all seven cases the admonition is included, “He who has an ear, let him hear what the Spirit says to the churches”, although sometimes this comes before the promise and sometimes after. Sardis – The “dead” church that fell asleep (Revelation 3:1-6). Laodicea – The “lukewarm” church with a faith that’s neither hot nor cold (Rev. 3:14-22). Origen explains that these are the guardian angels of the churches, a view upheld by Henry Alford. But Epiphanius explicitly rejects this view, and, in accordance with the imagery of the passage, explains it of the bishops. The comparison of a teacher to a star is scriptural. Augustine of Hippo’s reason for interpreting angels of the churches as the prelates of the church is that St. John speaks of them as falling from their first charity which is not true of the angels. Revelation 1:20 states that “The seven stars are the angels of the seven churches”. Following breakfast, we drive to the ‘Old City’ where we will visit the Hippodrome, the Blue Mosque, famous for its delicate blue ceramic tiles, and Haghia Sophia. This church – turned mosque – turned museum takes the breath away with the sheer architectural size of its interior and magnificent dome. Next we will visit the spectacular Topkapi Palace that was built on one of the seven hills of Istanbul, this huge complex commands views of the Sea of Marmara, the Bosphorus and the Golden Horn. It was the seat of government for the Ottoman Empire for many centuries (1453-1852) and we will see the extravagant Treasury, the priceless Chinese porcelain. We will finish up the day in the bustling Grand Bazaar that is an attractive shopping center and biggest “souk” in the world. We journey on to Laodicea Ad Lycum where the remains are found on a flat-topped hill. Christianity came to the area during the time of St. Paul, brought by Epaphras of Colossae. Laodicea became the seat of Bishopric and hosted an important Ecumenical Council in the fourth century AD. It was named in the Revelations as one of the Seven Churches of the Apocalypse. Highlights will be Agora, Fountain, Water Tower, Stadium and the Council Chamber. Our next stop will be Aphrodisias, a site presently under excavation. 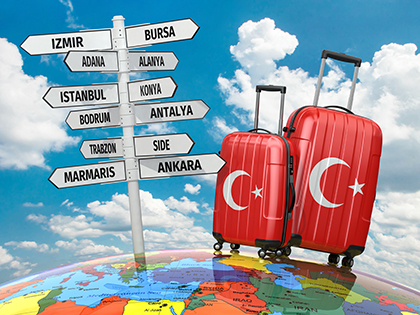 Highlights will include the Museum, Sebaste, Stadium, the Baths of Hadrian, the Theatre, Tetrapylon and the “Bishop’s Palace” Overnight at Kusadasi. 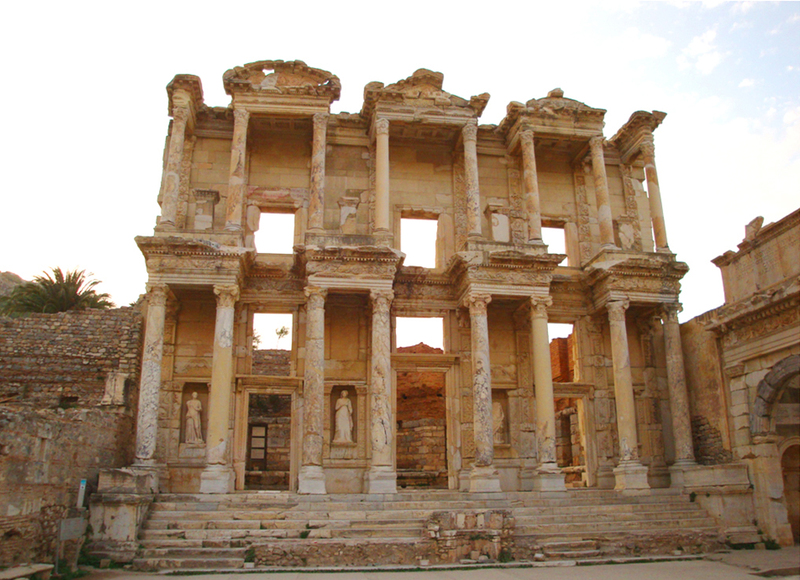 Leaving Kusadasi behind us we will proceed to explore the ancient city of Ephesus and first visit the Basilica of St. John, “the Evangelist” who came here with the Virgin Mary and wrote his Gospel. Close by is the House of the Virgin Mary where she is believed to have spent her last years. On August 18th, 1961, Pope John XXll proclaimed the House of Virgin Mary at Ephesus to be sacred. Pope Benedict XVI visited and held Mass here in December 2006. You will have a chance to take a phial of Holy Water from the Sacred Spring. Dinner and overnight in Izmir.